I’m not sure when the call first whispered to my heart. The voice, that unwelcome voice, the siren of burden. “You know what you need to do,” she said. Why me? Why couldn’t I just go through life with normal goals and aspirations? A good job. A loving relationship. A family. Weekend barbecues among loved ones sharing words of politics and sports and relationships and kids. I’ve had all that within my grasp, more than once seen such a future more clearly than any I can see now. And each time, I let it all go, gave it up or fucked it up, it doesn’t matter which. No, I’m supposed to do something particular with this life. Put myself out there. Describe experiences beyond my ken, act as the conduit for insights from I know not where. As it tears itself apart? Before the internal chaos of the chrysalis? If the caterpillar does know fear it nevertheless relents. 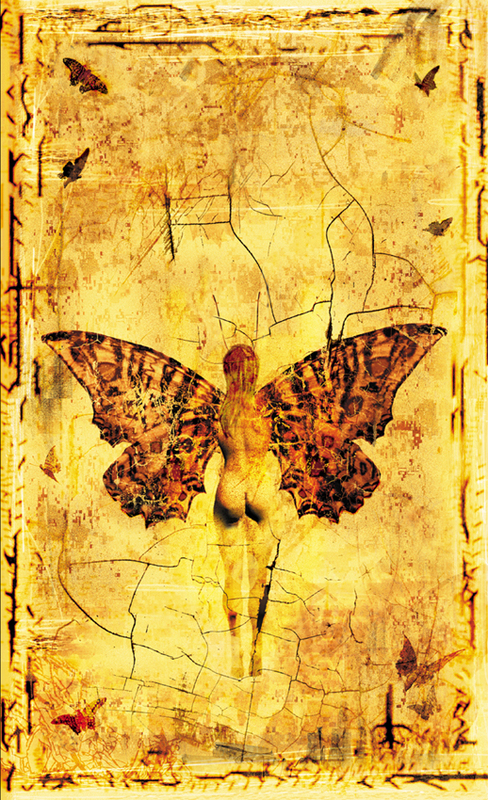 Can it know the beautiful fate waiting beyond the chaotic turmoil of metamorphosis? No matter. An act, an inevitable act. Until the calling is undertaken, life can only be out of balance. If the purpose is to fly, then wings must be grown. I thought maybe you would just be posting your poetry. I’ve missed me too. 😉 And you. But I needed to get a handle on me. Funny… the poetry completed the journey back. Every now and again, it just comes out of nowhere. Well, not always nowhere. There’s often…it’s tempting to say “inspiration” but it’s not like that. Something happens that just opens a gate to somewhere else, and the poem just flows in. There have been a dozen or so. Showed them to a writer friend and he was adamant that I publish them. Thought I’d start here. Funny, poetry has been coming to me that way. Well, just one. Hmmm… I think I’ll post it. I’m glad you’re back. I’m glad to know you’re finding your way. =) Hopefully this hill I’m climbing leads to a nice long plateau, rather than up and over the top steeply, like last time, and down into the valleys below.